What is the best album of all time? 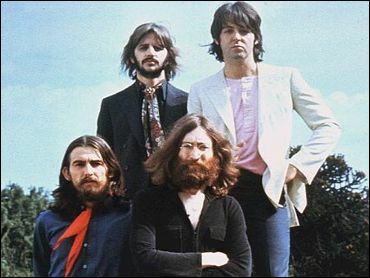 According to Rolling Stone magazine, which has compiled a list of the top 500 albums ever, it's the Beatles' "Sgt. Pepper's Lonely Hearts Club Band." 'I think that album really epitomized what was possible for a rock 'n' roll album to be," says Anthony DeCurtis, the magazine's senior editor. "There's a sense in which before that point, albums were tossed together, much like they've become in a certain sense, one great song and the rest is filler. "But Sgt. Pepper established you can have a clear, consistent, important statement that really had a big impact, even beyond the world of music." The list will be published in a special collectors' issue of the magazine, to hit newsstands Friday, Nov. 21. It was compiled from individual lists of 50 top albums submitted by about 300 musicians, writers and music editors. In an interview Tuesday on The Early Show, DeCurtis says the albums on the list are different from the pop fads of the day because they are enduring. "I think everybody who is involved in entertainment loves pop culture," says DeCurtis. "I mean, there is a sense in which the thing happens and it's fun and then it goes. It lives its life. But the list is about things that endure." The list did little to stifle debate in the music world over the best rock 'n' roll music, DeCurtis notes, explaining that it actually sparked lively debate at the magazine. "When they come out, you hope to achieve some kind of consensus," he says, "but it actually creates debate and yeah, there were battles, absolutely." The Beatles / "Sgt. Pepper's Lonely Hearts Club Band"
The Beach Boys / "Pet Sounds"
Bob Dylan / "Highway 61 Revisited"
The Beatles / "Rubber Soul"
Marvin Gaye / "What's Going On"
The Rolling Stones / "Exile on Main Street"
The Clash / "London Calling"
Bob Dylan / "Blonde on Blonde"
The Beatles / "The Beatles (The White Album)"